What is a custom ROM and Why install it? Custom ROM is a modified Android Operating System so you can get extra features from your phone otherwise not possible on stock. Think of it as upgrading your tiny wheels on your rice beater to 21” rims, or maybe even putting a Corvette engine in it. So, what features can custom ROM bring you? First, Wifi Tethering and Hotspot – You don’t need to pay your carrier such as Verizon, AT&T, Sprint, and T-Mobile TWICE for the same internet you already for. Most countries outside of the U.S. provide tethering as a basic feature on your data plan but in the U.S., carriers like to charge you for it. Install a custom ROM and you can get free wifi tethering working easily as most custom ROMs support wifi tethering out of the box. You can manually install OTA updates or even downgrade to an older OTA update. Did your carrier give up on upgrading your Android OS? No worries, you can get many custom ROMs that bring you the latest Android OS. You can install custom ROMs with every possible/imaginable bloatware removed completely from your system, even government spyware. Some of these custom ROMs even offer AROMA graphical installer to remove just the ones you don’t want and keep the ones you like. You don’t like TouchWiz or Sense? No worries, you can root and install AOSP custom ROMs or even convert your phone into a full Google Play Edition phone easily with custom ROMs. There’s even hybrid ROMs, that bring you the best of TouchWiz/Sense and pure Google OS. Get the best of both worlds, take control over your phone, but don’t let your phone control you. Heck, you can even install Ubuntu Edge mobile system, and even completely move away from Android. Many custom ROMs offer a high level of audio tweaking for bassheads, purists, and alike. By using DSP Manager, ViperFXAudio, VoodooSound, and many other aftermarket audio tweaks, you can customize the sound on your phone. Make it super loud, tweak the bass/treble, and adjust the sound just the way you want it. Of course, you can do this on many stock phones but custom ROMs offer additional layer of tweaking and customization otherwise not possible. Just like installing aftermarket parts on your car to make it go faster, you can do the same by installing custom ROMs. Is your phone slow or laggy? Most Custom ROMs provide improved performance and battery life out of the box. And you can even overclock your phone or undervolt it to get great battery life. For example, you can overclock your phone when playing graphic-intensive games or underclock when you are going on a full-day trip without a charger in handy. Many custom ROMs offer custom themes that will change the way your whole phone looks. ROMs like MIUI even come with a TON of themes; you can even make your phone look like an iPhone, Windows, and more. Aren’t you tired of looking like the guy next to you who has the same phone as you do? Well, next time you can tell him you’ve got a Jedi X ROM with Galaxy S4 theme on your Note 2 and you don’t need to buy a Galaxy S4. With custom ROMs, you can change everything from your battery icon, clock, status bar, drop down menu, carrier name, even add ribbons that appear from left or right, and more. These customizations also can include cool shortcuts like screen-off Torch where you can easily turn on your LED by pressing volume up while your phone is off. There’s many MODs that come with custom ROMs including Volume Music Skip MOD, higher-quality camera MOD, and many more. Theses are just several examples of why you should install a custom ROM. If you agree with me and you are on a custom ROM and enjoying the future already, share this with your friends on Twitter, Facebook, and Google+ so you can help me educate the world about custom ROMs. And as always, stay “HIGH” on Android! I have samsung galaxy shv-e300s korean version since I got it I been try work the the LTE WITH VOICE CALL they work together if I have the LTE network on I can’t make a phone call but if the 3G network is on than I can make a phone call. Is there away to work the LTE and VOICE at the same time. So please help if u ca. I did a little bit of home work there is something called LTE IMS and LTE CSBF so you tell me what can I fix this thank for your time. i can’t find video calling option from contacts and dial pad. plz help me to fix the issue. When I turn my phone on it will not pass the Samsung logo after rooting. I lost internet connect while rooting then this happen. Can you help me get my phone back up and running as factory install ? Can you put all the files in one file and send me with instructions. Hi, I have samsung galaxy shv-e300s korean virgin and iam stack on 4.2.2 I can’t update or down great even throw odin, there something comes out called knox images only this comes out when I download throw odin on my device and kies doesn’t support my device so, please help if you can . you can update manually using ODIN and stock firmware. please help if you can . Wow! Brilliant description of “What is an Android custom ROM”. I have a Galaxy S5 from Korea, model SM-G900K, and I kind of like it. What pisses me off is the ugly Olleh’s logo displaying on my phone everytime I turn it on. Is there a way to remove it? Thanks. PS. : I tried installing other firmwares from other GS5 models via ODIN, but no success! It seems to me that the Korean version doesn’t accept other firmwares than G900k one. 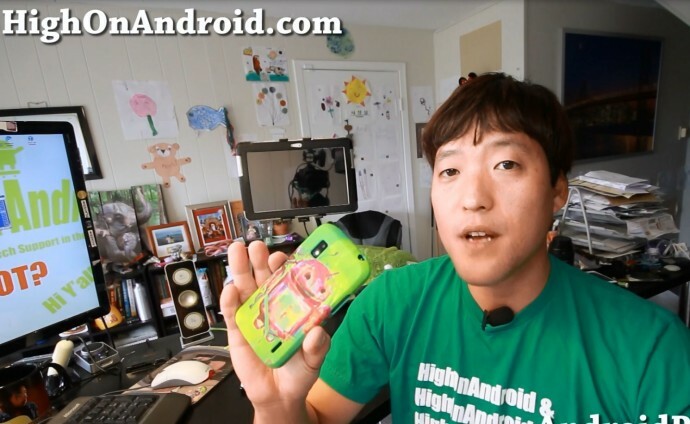 Next story Android 4.3 Focal Camera from CM10.2!